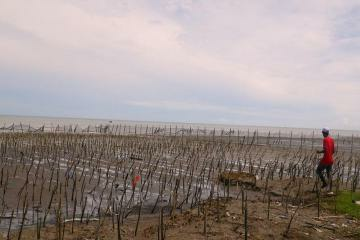 Approximately 44,700 Rhizophora mucronata propagules and about 6,000 seeds of　Avicenia marina were planted by 18 members of the project`s planting group. They were joined by a teacher and 25 grades five and six students of MI Nurul Huda Clering (Nurul Huda Islamic School) in the site OISCA sponsored by Dunlop Team Enasave in Clering Village, Donorojo District, Jepara Regency. The members of Negros Sericulture Farmers Association headed by Project Manager Shigemi Watanabe are busy showcasing their silk products within and outside the Philippines. 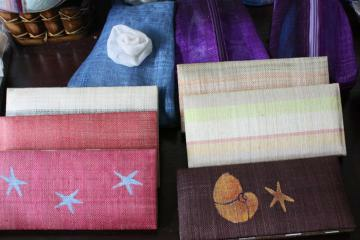 The organic silk fibers dyed using natural colors extracted from plant roots, tree barks, flowers and fruits woven by the locals and become scarves, bags and barongs (garments often use in formal gatherings) are available and on a regular display in the showroom at OISCA Bago Training Center. 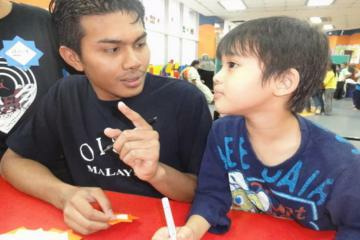 OISCA International Malaysian Chapter (OIMC) in collaboration with MARA-OISCA Japanese Language Center organized a three-day environmental education program for the kindergarten and elementary school students in Kuala Lumpur, Malaysia. 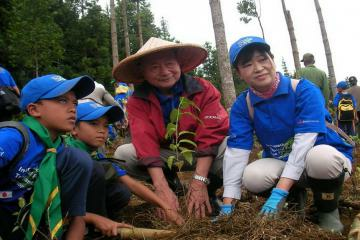 Dr. Akira Miyawaki, vegetation ecologist expert and Professor Emeritus of Yokohama National University graced the tree planting ceremony organized by Sukabumi Training Center and sponsored by Mitsubishi Corporation at OISCA’s project site in Mt. Gede Pangrango National Park in West Java, Indonesia.